On your first visit, you should arrive 15 minutes before your scheduled appointment time to complete our new patient paperwork, if you have not already done so. Registration forms are at the bottom of this page to print, fill out and bring with you to your first appointment if you wish. At your first physical therapy visit, your physical therapist will review your medical history and do a physical evaluation. Depending on your diagnosis or symptoms, your therapist may evaluate your flexibility, strength, balance, coordination, posture, and/or heart rate and respiration. Your therapist may look at how you walk or get up from lying down (functional activities), along with how you use and position your body as you perform activities (body mechanics). 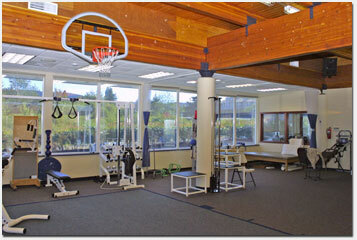 The therapist will work with you to determine your goals for physical therapy and to begin planning your treatment. You may or may not begin your actual therapy at the first visit.